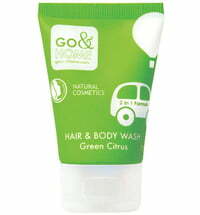 2-in-1 Body Care Basics for All Travel Enthusiasts! We want to feel fresh and clean, no matter where we are. 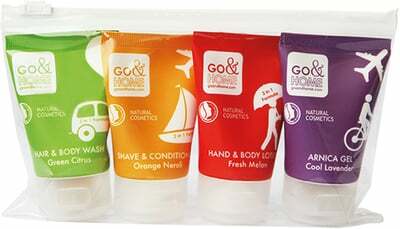 The Go & Home products are ideal companions - whether on the road or at home. These 2-in-1 products save time and space. They are perfectly tailored to your needs and packaged in convenient travel size tubes - your certified natural cosmetics on the go! Arnica Gel Cool Lavender relaxes the body on stressful days. 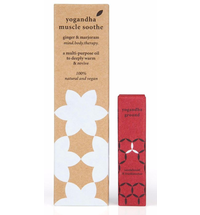 Simply apply and massage - tired muscles are gently cooled. If skin irritation occurs, discontinue use! 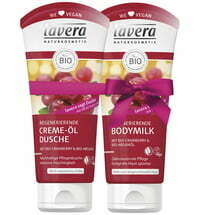 The Hand & Body Lotion nourishes the skin with nutrients to keep it soft and supple. The natural skin care formula pampers your skin and gives it a delicate addition of freshness. The Shave & Conditioner, when applied as a hair balm, softens hair, making it more manageable and shiny. 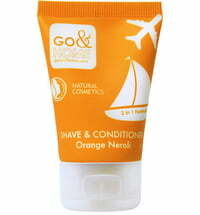 As a shaving cream, it forms a protective film for a smooth shave, while bitter and sweet oranges offer a unique fragrance. The Hair & Body Wash refreshes and nourishes the skin and hair with natural millet protein and sugar surfactants. It is mild enough for daily care! I went 6 nights with this travel set and still had product leftover. the melon scents are light and refreshing, and the lavender cooling gel is great for when you are on the go. very happy with this purchase!